How many homes will you own in your lifetime? Statistics show that the average homeowner moves every five to seven years, and will move about 11 times during his or her lifetime. Some moves we anticipate. For example, a twenty-something may choose to live in an urban area, close to shops and restaurants with a robust night scene. But they know their needs will change as they take new jobs, marry, and start a family. For many of us, we approach one move that’s different from all the rest: we decide we want to create our “forever” home and design it perfectly. We gather all of our experience from years of moving and put it together to define our “perfect” home. That means no more finding a floor plan we can “live with”. No more accepting the flaws a house comes with because it’s the best we can find. It’s time to find the perfect house. It’s time to build the perfect home. And if your goal is to call Washington your home, there are a few things to keep in mind as you find the right home builder for your needs. I need a kitchen where the whole family can gather. I want a master suite where I can relax and unwind. I can’t live without an open concept design. I want to use all space and have lots of storage. Of course, everyone is different. Everybody has his or her idea of what makes a home “perfect.” And that’s why it’s important to define your needs before you start the process. Most builders will help you create what you need. But if you don’t know ahead of time, it’s easy to be swayed by the “bling” that some home builders may show off. There is a difference between needs and wants. Be sure you’ve defined each clearly in your mind before you take the next step. If you’re not clear on what you need and want, take the time and do a little research to ensure you’re on the right path. While it’s fairly easy to change a fixture during the process, changing the placement of a room in the floorplan is not. If your builder doesn’t understand that hardwood flooring is not negotiable, they may look for alternatives and bring in other options. Home builders can’t read minds. If something is important to you, it’s better to talk about it early in the process, as soon as it comes to mind. How long has the company been in business? How much experience do the people you’re working with have in the industry? Professionalism is a must. It’s also important to select a home builder that is familiar with Washington. A home builder from a state with a dry climate may not have the experience to understand how to build to withstand months of rain. Someone from a warmer state may not know how to protect from our cold, damp winters. Don’t be afraid to ask about what they’ve done in the past. Don’t just look at what they’ve done in photographs; visit job sites and finished projects too. It’s important that you understand the entire process and what it entails. You should also check in with other buyers and see how happy they are with their investment. Walk around their communities and chat with other buyers. If you have specific questions, be sure they are answered before you move forward. 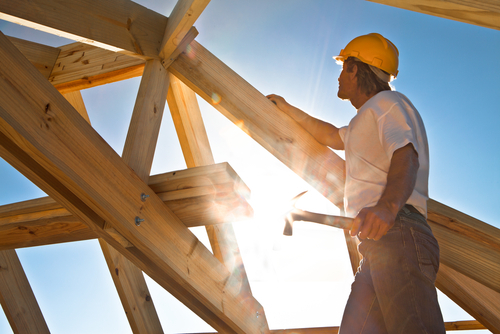 Probably one of the best questions you can ask is: Would you use them to build another home? That will tell you how well their goals were met. Every product you buy comes with some type of warranty. And here in Washington, certain processes have to use trained, licensed, and insured professionals to complete certain jobs. Will the builder you select do everything in the most professional way? Or will they try and cut corners? Ultimately, it’s you who will live in your home for years to come. And while we never want or expect problems to occur, it’s important to have protection for the “just in case.” Warranties are a promise from the product purchased and installed in your home. But if it isn’t installed correctly, the warranty may be null and void before you ever take ownership. Don’t wait until you take ownership to find out how well the home builder stands behind his or her work. How long will they guarantee their work after you move in? How long will they be there to answer questions and provide solutions after the final nail is in place? Many home builders have model homes to give you an idea of what to expect. Sometimes they can take you to a job site and show you work in progress. They can lay out photographs to help you visualize the process. Instead of looking at it generally, look for the specifics. Walk up to a window and see the materials used and the quality of workmanship behind the process. Are the products quality brands you recognize? Are the design features attractive? Are the floor plans livable and do they suit your daily needs? Are they detail oriented or does their work look unfinished? Does everyone on the job site act in a professional way? You can learn a lot by observing the process at different times of the day and in different phases of construction. If you see a red flag, raise it immediately and find a solution that meets your needs. The more you see, especially early in the process, the faster you should look for alternatives. This is one of the biggest decisions of your life. And if you’re like many homeowners, using a home builder to design and build your perfect home is a once-in-a-lifetime process. Don’t feel rushed as you start and move into the process. Take your time and consider which home builder can give you what you need and is the best fit for you. You’ll be living with that decision for many years to come, so give yourself a little time to ponder your choices and evaluate different options and solutions. Take the advice of your home builder, but ultimately the decision is yours. Are you ready to have a home builder help you design your perfect home?